In September 2018, the IRS issued Notice 2018-71 providing guidance on a lesser-known feature of the Tax Cuts and Jobs Act: the Section 45S Employer Credit for Paid Family and Medical Leave. Created as a way to incentivize businesses to continue paying employees who are out of work to care for family members, Section 45S offers employers a general business tax credit equal to a percentage of wages paid to qualifying employees on family and medical leave. 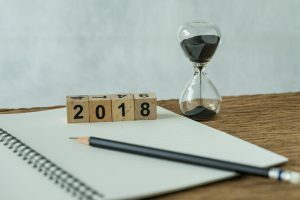 Although the credit is currently available for only the 2018 and 2019 tax years, it may provide an attractive tax savings opportunity for organizations that already have a paid family and medical leave policy or those that are considering adopting one. Cover all qualifying employees, defined as those who have worked for the employer for at least one year and who did not earn more than a specified amount in the preceding year. For employers claiming the credit for tax year 2018, qualifying employees must not have earned more than $72,000 in 2017 (not including overtime pay and bonuses). Provide at least two weeks of paid family and medical leave each year for qualifying full-time employees; paid leave may be prorated for part-time employees. Provide paid leave that is no less than 50 percent of the qualifying employee’s regular wages. If the organization has any qualifying employees who are not covered by Title I of the Family and Medical Leave Act (FMLA), the written policy must include “non-interference” protections. The IRS has provided transition relief for 2018, stipulating that employers’ written leave policies will qualify for the Section 45S Credit as of the policy’s effective date (rather than the adoption date), as long as the policy was adopted no later than December 31, 2018. The Section 45S Credit is equal to a percentage of the wages paid to a qualifying employee while he or she is on family and medical leave, for up to 12 weeks per year. Organizations that pay employees 50 percent of their regular wages (the minimum amount required to qualify for the credit) will be eligible for a tax credit of 12.5 percent of wages paid. This credit amount increases by 0.25 percent for each additional percentage point by which family and medical leave wages exceed 50 percent of a qualifying employee’s regular wages. Therefore, organizations that pay qualifying employees at their regular rate of pay while on leave will be eligible for the maximum tax credit of 25 percent of wages paid. In determining the amount of paid family and medical leave provided by the employer, any leave paid by a state or local government or required by law is not taken into account. What constitutes “family and medical leave” for purposes of the credit? The need to care for a service member who is the employee’s child, spouse, parent, or other next of kin. Any vacation, personal, or sick leave that the employer provides—other than for the reasons stated above—is not considered paid leave for purposes of the Section 45S Credit. Offering employers a new opportunity to reduce their tax burdens while incentivizing paid family and medical leave, the Section 45S Credit serves as a multi-beneficial—albeit temporary—addition to the tax code. The credit may be claimed via Form 8994, Employer Credit for Paid Family and Medical Leave, and Form 3800, General Business Credit, both of which are filed with the employer’s income tax return. However, the Section 45S Credit may impact organizations’ tax savings through other wage-based business credits, so employers should work with their tax professionals to determine the proper strategy for maximum tax reduction. Wondering whether your business may be eligible for tax savings through the Section 45S Credit or other incentives? The experts at Capital Review Group can help you reap the benefits of savings opportunities available through the Tax Cuts and Jobs Act and other tax laws. Contact CRG today to schedule a pro bono analysis! 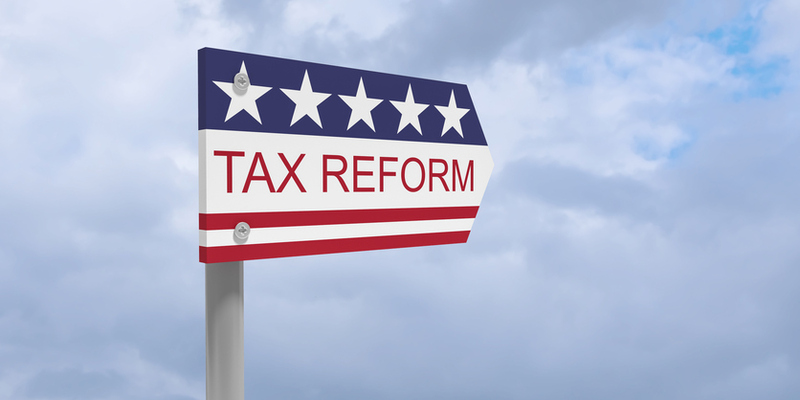 The Tax Cuts and Jobs Act—the sweeping tax reform law enacted in December 2017—has garnered significant attention for drastically lowering the corporate tax rate and expanding incentives for individuals and businesses. However, one lesser-known feature of the new tax law is the Investing in Opportunity Act, which established the Opportunity Zone program. Created with the goal of attracting investment and stimulating job creation in economically disadvantaged communities, Opportunity Zones offer investors a powerful way to defer taxation on prior gains. 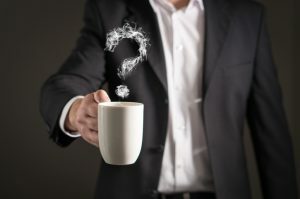 The following frequently asked questions about Opportunity Zones will help investors take advantage of this widely beneficial new program. The Investing in Opportunity Act allowed state governors across the U.S., as well as the mayor of Washington, D.C., to nominate low-income census tracts within their jurisdictions for designation as Opportunity Zones. These nominations were then reviewed and certified by the U.S. Treasury. Currently, there are approximately 8,700 Opportunity Zones in urban and rural communities across all 50 states, Washington, D.C., and five U.S. territories. Qualified Opportunity Funds (QOFs) are partnerships or corporations that have been set up to facilitate investment in eligible property located within Opportunity Zones. Eligible property includes business property, newly issued stock or partnership interests in a Qualified Opportunity Zone business, and real estate that is either new construction or has been substantially improved. Certain “sin” businesses, including country clubs, liquor stores, and gambling facilities, may not be eligible. A minimum of 90 percent of a QOF’s assets must be held in Opportunity Zone property. QOFs may self-certify without approval from the Treasury Department, and they are administered by fund managers as opposed to government agencies. How can investors benefit from investing in Opportunity Zones? If a QOF investment is held for fewer than five years, the only benefit to investors is that they will be able to defer payment of existing capital gains taxes until the date when the QOF investment is sold or exchanged. If the investment is held for five to seven years, investors will be able to defer payment of taxes until the investment is sold or exchanged, and will receive a ten percent exclusion of taxes on the existing capital gain. If the investment is held for seven to ten years, investors will be able to defer payment of existing capital gains taxes until December 31, 2026, or the date when the QOF investment is sold or exchanged—whichever comes first. In addition, fifteen percent of the existing capital gains taxes will be canceled. Investors receive the greatest tax benefits when the QOF investment is held for more than ten years. 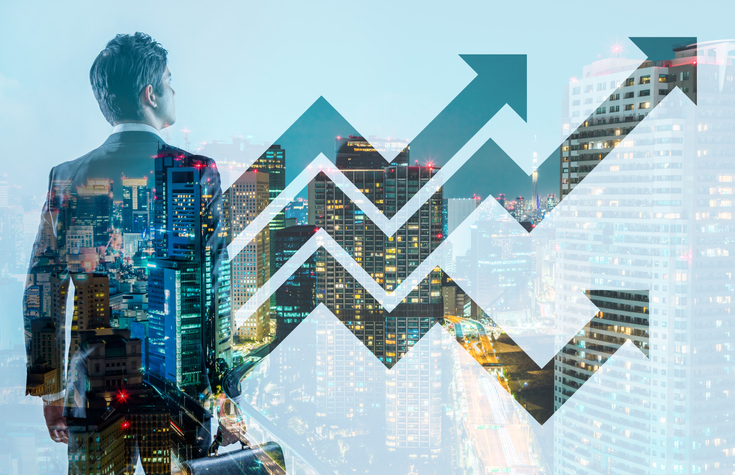 In addition to receiving the same benefits as when the investment is held between seven and ten years, investors will qualify for an increase in basis equal to the investment’s fair market value when it is sold or exchanged. This allows investors to avoid paying any capital gains tax on the appreciation of assets held in the QOF. By allowing investors to defer and reduce hefty capital gains tax liabilities, the Opportunity Zone program offers an attractive way to maximize returns on investments—while advancing the important societal goal of stimulating growth in economically distressed communities. Interested in learning more about the tax savings opportunities of investing in a QOF? Now is the time to act! Contact CRG today to schedule a pro bono analysis. As the year quickly draws to a close, the time has come for businesses to start the onerous process of preparing for tax season. Although the end of the year tends to be hectic, it is crucial to begin gathering paperwork and planning strategies in order to reduce your business’s 2018 tax burden. Recent changes to federal tax law—most notably the Tax Cuts and Jobs Act (also known as tax reform)—have made it particularly important for businesses to carefully examine the tax savings opportunities available to them. Verify that you have claimed the §179D deduction for energy efficiency projects completed in 2017. Section 179D of the tax code offers commercial building owners and primary designers—such as architects and engineers who develop qualifying projects for public buildings—a deduction of up to $1.80 per square foot for energy-efficient improvements to a building’s envelope, lighting, or HVAC systems. As a “tax extender,” the §179D deduction expired on December 31, 2016, but was retroactively renewed only for projects completed in 2017 by the Bipartisan Budget Act. While this popular incentive could potentially be renewed again in the future, commercial building owners and designers should act swiftly to claim it for eligible projects completed last year. Ensure that your business is properly classified for maximum savings under the Tax Cuts and Jobs Act. The new tax law grants pass-through entities—including sole proprietorships, S-corporations, and partnerships—a substantial deduction of up to 20 percent. While this will be a boon to many small and mid-sized businesses, the deduction is not available to certain service-based businesses, such as law firms, accounting firms, and medical practices, with taxable income over $315,000. In addition, the Tax Cuts and Jobs Act lowered the corporate tax rate from 35 to 21 percent. Therefore, businesses should work with their tax advisors to determine whether it is more advantageous for them to be classified as C-corporations or pass-through entities. Determine whether your business may be eligible for the Research and Development (R&D) Tax Credit. The Protecting Americans from Tax Hikes (PATH) Act of 2015 permanently added the R&D Credit to the tax code and expanded its utility for smaller and newer businesses by allowing them to apply the credit toward their payroll tax burdens. In light of these changes, businesses in a wide variety of industries—ranging from architecture and engineering to construction and manufacturing—should examine their project records and consult a tax expert to determine whether they may be eligible for this lucrative credit. Claiming the R&D Credit requires thorough documentation of qualifying activities, so it is best to begin the preparation process in advance of tax season. However, the effort may be more than worthwhile—businesses routinely receive six-figure tax savings through the R&D Credit. Take advantage of expanded bonus depreciation. The concept of bonus depreciation allows businesses to depreciate a certain percentage of the cost of new business property during the year it is placed into service, and then depreciate the remainder of the cost over the property’s useful life. However, through tax year 2022, the Tax Cuts and Jobs Act will allow businesses to deduct 100 percent of the cost of eligible property during its first year in service. This will yield more substantial and immediate tax savings than depreciating the property over a longer period of time. Consider investing in Opportunity Zones. Added to the tax code by the Tax Cuts and Jobs Act, Opportunity Zones are economically distressed communities in which certain investments may qualify for favorable tax treatment. With a goal of spurring economic development and job growth in these communities, the new tax law allows investors to defer capital gains taxes owed when they invest in Qualified Opportunity Funds (“O-Funds”). O-Funds are partnerships or corporations established to facilitate investment in qualified property located in Opportunity Zones. Investors are permitted to defer tax on prior gains invested in an O-Fund until December 31, 2026 or the date when the fund is sold or exchanged—whichever is earlier. Investors do not need to live, work, or have businesses in Opportunity Zones in order to take advantage of the tax benefits of investing in O-Funds. For more information, visit https://www.irs.gov/newsroom/opportunity-zones-frequently-asked-questions. Determine whether your business is eligible for the new employer credit for paid family and medical leave. Another opportunity for tax savings enacted by the Tax Cuts and Jobs Act is §45S of the tax code, which grants employers a credit equal to a percentage of wages paid to qualifying employees on family or medical leave. If the employer pays at least 50 percent of the employee’s regular pay, the credit equals 12.5 percent of wages paid during family and medical leave; this amount increases by 0.25 percent for each subsequent percentage point over half the employee’s regular pay. Employers that continue to pay employees 100 percent of their wages while on leave may receive the maximum tax credit of 25 percent of wages. To qualify for the credit, employers must have a written policy in place describing various aspects of the paid leave policy. Employers should read IRS Notice 2018-71, which provides more in-depth information on the paid family and medical leave tax credit, and review their workforce policies to determine whether they may qualify for the credit in 2018 or upcoming tax years. Ensure that your business is compliant with state sales tax laws. 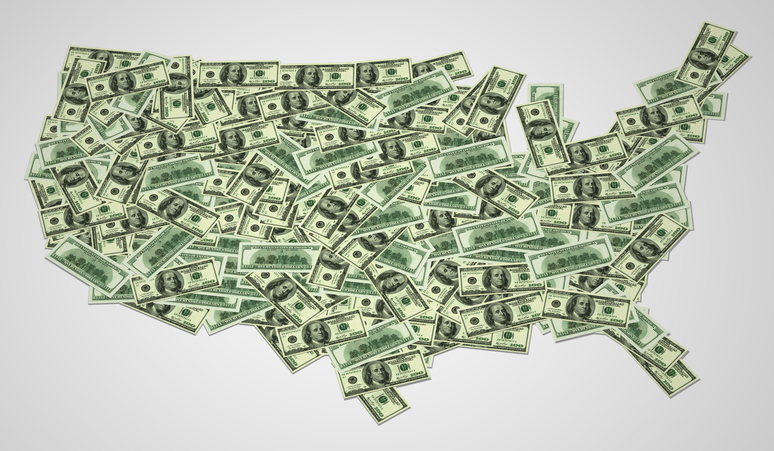 Businesses that sell goods out of state have always contended with a confusing patchwork of sales tax rates and exemptions among the country’s more than 10,000 jurisdictions. However, in light of the Supreme Court’s recent decision in South Dakota v. Wayfair, numerous businesses are now facing a costly compliance burden. In Wayfair, the Court ruled that states may require online retailers to collect sales tax on internet purchases—even if the retailer lacks any physical presence, such as a factory or office, within the state. In the months since the Wayfair decision, several states have enacted legislation requiring out-of-state sellers to collect sales tax if they meet certain criteria. Given these changes, businesses that conduct sales transactions with customers in multiple states should ask their tax advisors about pursuing a nexus review. 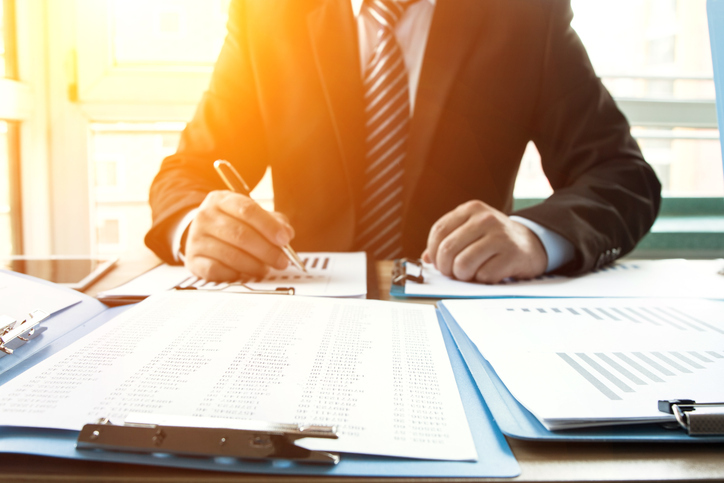 At Capital Review Group, our nexus reviews are designed to identify a client’s past, present, and potential future sales tax collection responsibilities. We can help you formulate a plan to mitigate tax liabilities, ensure compliance with changing state laws, and implement systems and processes to monitor sales transactions completed in various states. Consider conducting a cost segregation study. In addition to the §179D deduction, one of the most powerful ways for commercial building owners to reduce their tax burdens is through the IRS-approved strategy of cost segregation. Real property is usually depreciated over 39 years, while tangible personal property is depreciated over five, seven, or fifteen years. A cost segregation study examines a parcel of real property and divides it into personal property assets—thus enabling the building’s owners to minimize taxes and boost cash flow through accelerated depreciation deductions. Examine your hiring practices and determine whether you may qualify for the Work Opportunity Tax Credit (WOTC). For any business, the workforce is one of its most valuable assets—and one of its greatest ongoing expenses. WOTC grants employers an opportunity to offset some of the costs of hiring by providing a tax credit of up to $9,600 for each qualifying employee hired from a target group, as defined by the Department of Labor. These groups include veterans, recipients of government assistance, and summer youth workers. Employers must act quickly if they believe that they have made a WOTC-eligible hire: initial paperwork must be filed with the state workforce agency within 28 days of the new employee’s start date. The PATH Act extended WOTC through December 31, 2019, so now is the time for employers to review their hiring practices and determine whether they may qualify for WOTC with recent or future hires. As your business prepares for tax season, one of the most important steps you can take is to work with an experienced tax professional to ensure that you are maximizing savings. At Capital Review Group, we work with businesses and their tax or financial advisors to claim all available tax incentives and provide guidance in light of changing laws, including the shifting landscape of state sales tax laws. Act now to begin planning for tax season—contact CRG today at 877-666-5539 to schedule a pro bono analysis! 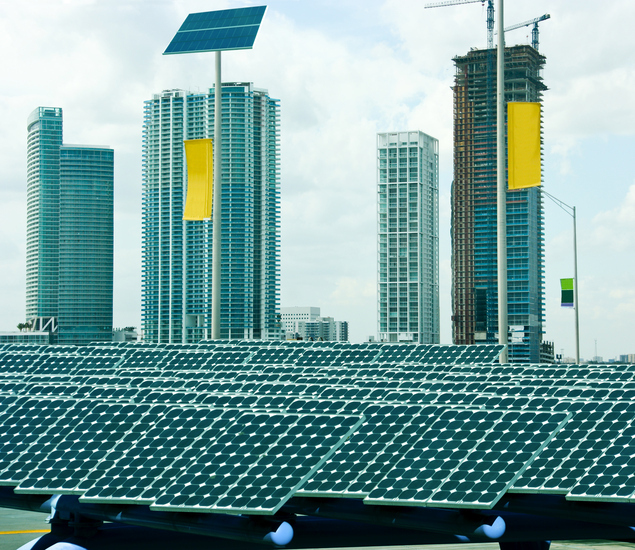 Since its enactment under the Energy Policy Act of 2005 (“EPAct”), the §179D deduction has been a powerful tool for promoting sustainability while saving commercial building owners and primary designers thousands of dollars in taxes. However, this important incentive has never been a permanent part of the tax code and has traditionally expired at the end of each year. Most recently, the §179D deduction expired on December 31, 2016, sparking widespread uncertainty over whether Congress would act to renew it. 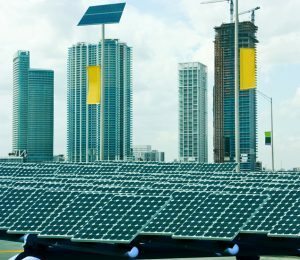 After months of speculation, the recently enacted Bipartisan Budget Act of 2018 renewed the §179D deduction retroactively for energy-efficient projects completed last year. Therefore, eligible taxpayers may now claim the deduction for projects completed through December 31, 2017. Although this renewal is short-term, Capital Review Group is pleased to announce that we have bolstered our resources for helping our clients claim this valuable incentive. What is the §179D Deduction? Section 179D of the tax code incentivizes energy efficiency measures in public and commercial buildings by providing a deduction of up to $1.80 per square foot. Specifically, the §179D deduction is worth up to $0.60 per square foot for improvements to lighting systems, $0.60 per square foot for the building envelope, and $0.60 per square foot for HVAC systems. This deduction is available to commercial building owners who install qualifying energy efficiency measures, as well as the primary designers—including architects, engineers, and contractors—of such measures in buildings owned by local, state, or federal governments. Taxpayers may claim the $179D deduction for qualifying measures implemented in new buildings and retrofits to existing buildings. However, construction completed in 2016 or later must meet or exceed the standards enumerated in ASHRAE 90.1-2007. Energy-efficient building projects must also be certified by a qualified third party, such as CRG, to ensure that they satisfy all the requirements of §179D. 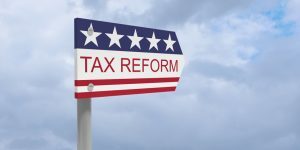 What’s Next for the §179D Deduction? At this time, Congress has not taken action to extend the §179D deduction for 2018 or future years. Due to the deduction’s widespread popularity, however, future extensions are possible. In the meantime, commercial building owners and primary designers who completed energy efficiency projects in 2017 should act swiftly to seize this powerful incentive while it is available. As CRG continues to expand our services in order to help our clients minimize their tax burdens, we are available to assist with certifying §179D projects and navigating the process of claiming the deduction. Contact the team of tax experts at CRG today by calling 877-666-5539 or visiting https://www.capitalreviewgroup.com/contact/! The Research and Development (R&D) Tax Credit saves businesses billions of dollars each year, yet less than ten percent of those savings are seized by small-to-medium-sized companies. Also known as the Research and Experimentation (R&E) Credit, the credit for increasing research activities, or simply the research tax credit, this valuable incentive is riddled with misconceptions that unfortunately cause many eligible businesses to leave substantial tax savings on the table each year. The R&D Tax Credit was developed in 1981 with the goal of stimulating innovation and technological advancement within the U.S. by helping businesses offset the high costs of research and development. After years of expiring and having to be renewed on an almost annual basis, the R&D Credit was finally made a permanent part of the tax code in 2015 as part of the Protecting Americans from Tax Hikes (PATH) Act. The PATH Act also expanded the credit, making it more available to smaller and newer businesses. Who is eligible for the R&D Credit? The R&D Credit is underutilized by many eligible businesses that erroneously assume that their activities will not qualify. Many taxpayers associate the words “research and development” with highly scientific or technological pursuits, or assume that the credit only applies to large corporations. In reality, the credit is available to businesses of all sizes that are engaged in a wide range of specializations, including architecture, engineering, construction, and manufacturing. Additionally, shareholders in S-corporations and similar types of pass-through entities may be eligible to claim the R&D Credit. What types of activities qualify? The goal of the activity must be to create new or improve the existing functionality of a business component. The taxpayer must intend to eliminate some uncertainty about the project. In attempting to eliminate the uncertainty, the taxpayer must conduct a process of experimentation. The process of experimentation must be technological in nature and fundamentally rely on the principles of the physical or biological sciences, engineering, or computer science. 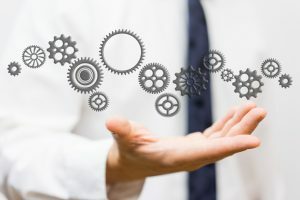 Examples of common activities that qualify for the R&D Credit include: developing architectural designs; pursuing state, federal, or industry certifications; green building initiatives for contractors; devising a more efficient or sustainable manufacturing process; environmental testing; and developing prototypes or models. The R&D Credit is calculated on the basis of qualified research expenses (QREs), which include wages paid to employees who engage in R&D activities and amounts paid for supplies used in such activities. Depending on which method of calculation the taxpayer uses, the credit amounts to a percentage of QREs over a certain base amount. The credit is somewhat flexible: a business may elect to carry it back one year or forward twenty years as needed. What else should businesses know about the R&D Credit? The PATH Act of 2015 created an opportunity for newer businesses and those without significant income tax liabilities to benefit from the R&D Credit. Businesses that have been in operation for less than six years and have $5 million or less in gross receipts for the current tax year and no gross receipts for the previous five years may now use the R&D Credit against their payroll tax liabilities. They may claim up to $250,000 in R&D Credits, but the credit amount may not exceed the company’s payroll tax burden in a given quarter. However, excess credits may be carried forward for use in future quarters. In addition to the federal R&D Credit, most states offer some type of tax incentive for research and development. Some of these feature rates that are even more generous than that offered by the federal credit. Businesses seeking to claim state or federal R&D Credits should be prepared to show thorough documentation of qualifying activities, including plans, diagrams, and time sheets. Wondering whether your firm’s projects may qualify for the R&D Credit? Call CRG today at 877-666-5539 to speak with one of our tax experts and schedule a pro bono analysis! (Sources: http://www.journalofaccountancy.com/issues/2010/mar/20092122, http://www.ipc.org/3.0_Industry/3.3_Gov_Relations/2008/tax_credit_whitepaper08.pdf, http://www.businessweek.com/small-business/the-rampd-tax-credit-explained-for-small-business-08162011.html, http://bipartisanpolicy.org/blog/what-research-and-experimentation-tax-credit/, http://nydailyrecord.com/blog/2015/04/20/commentary-rd-tax-credits-add-to-benefits-of-green-building). As a tax or financial advisor, your mission is to aid clients on their journeys to optimal financial well-being. For your business clients, proper tax planning forms an integral part of an overall financial strategy designed to maximize profitability. However, frequent changes in state and federal tax law can make it difficult to maintain a clear understanding of the applicable tax incentives and strategies that will enable you to reduce your business clients’ tax burdens. Determine whether your client has designed, constructed, or installed energy-efficient building measures. The §179D deduction, which was recently renewed for tax year 2017 by the Bipartisan Budget Act of 2018, offers businesses that own their commercial buildings tax savings of up to $1.80 per square foot for qualifying energy efficiency measures, such as upgrades to lighting, HVAC systems, or the building envelope. This deduction is also available to primary designers, including architects, engineers, or contractors, of energy-efficient measures in government buildings. Although this popular incentive has not yet been extended for 2018 or subsequent years, businesses that completed qualifying projects in 2017 may claim significant tax savings through the §179D deduction. Consider a cost segregation study. Another powerful way for commercial building owners to save on taxes is through the IRS-approved strategy of cost segregation, which yields accelerated depreciation deductions by simply reclassifying certain property assets. Generally, real property is depreciated over a period of 39 years, while personal property is depreciated over five, seven, or fifteen years. Therefore, taxpayers can reap the benefits of depreciation deductions more quickly with personal property assets. A cost segregation study—which is typically performed by a qualified third party with engineering experience—divides a piece of real property into personal property assets. This enables the building owners to claim accelerated depreciation deductions, which reduces the owner’s tax burden and boosts cash flow. Review project records to determine whether the business qualifies for the Research and Development (R&D) Tax Credit. The R&D Tax Credit—which was made a permanent part of the tax code by the PATH Act of 2015—is one of the most lucrative tax incentives for businesses. However, it is often overlooked due to the mistaken assumption that it is only available to businesses involved in high-tech or scientific research. In reality, this credit applies to a vast range of activities conducted by businesses in numerous different industries. Examples of industries that may benefit from the R&D Credit range from architecture and engineering to manufacturing and the military/defense industry. The R&D Credit has entered an era of expanded usefulness for many businesses since the Tax Cuts and Jobs Act repealed the corporate alternative minimum tax (AMT). The AMT required businesses to pay taxes at a rate of at least 20 percent, regardless of credits or deductions for which they qualified. Businesses may now take full advantage of the R&D Credit and other incentives without having to worry about this much-maligned limitation. Therefore, now is a better time than ever to review your clients’ project records—regardless of their industry—and determine whether this valuable incentive may be available to them at the federal and/or state level. Maximize bonus depreciation for business property. Bonus depreciation allows taxpayers to immediately deduct a certain percentage of the purchase price of business property, and then depreciate the remainder of the cost over the asset’s useful life. Through 2022, the Tax Cuts and Jobs Act has permitted businesses to deduct 100 percent of the cost during the property’s first year in service. Tax and financial advisors should ensure that their business clients take advantage of this expanded bonus depreciation in order to seize more substantial and immediate tax savings. Assess the client’s hiring practices. Another incentive that is often overlooked by businesses is the Work Opportunity Tax Credit (WOTC), which allows employers to seize tax savings of up to $9,600 for each qualifying employee hired from a target group. Target groups include certain veterans, summer youth employees, and recipients of food stamps and other forms of government assistance. While claiming WOTC requires strict observance of deadlines (initial paperwork must be filed with the state workforce agency within 28 days of a qualifying hire’s start date), this widely beneficial incentive offers a powerful way for businesses to offset the costs of growing their workforces. Review sales tax records for overpayments and seek a refund, if necessary. State and local sales tax rates change frequently and vary from jurisdiction to jurisdiction, making it easy for business taxpayers to become confused and pay the incorrect amounts. This is a particularly common problem among businesses that sell goods out of state. Fortunately, when businesses pay more in sales taxes than necessary, they can avoid unnecessary losses by identifying their overpayments and claiming a refund. If your business clients are subject to sales taxes, be sure to review their sales transactions and tax records. Leverage the expertise of other tax professionals. Due to the changing nature of tax law, the best way to ensure that you are seizing all possible savings opportunities for your clients is to partner with other professionals who make it their business to keep abreast of the latest tax news. For example, the tax experts at Capital Review Group (CRG) stay up to date on new laws and IRS regulations affecting businesses. We strive to build collaborative relationships with CPAs, CFPs, CFOs, attorneys, and other tax and financial professionals, providing advisory support as we help them maximize savings for clients. Wondering whether you are taking all steps necessary to minimize your business clients’ tax burdens? Find out with a pro bono analysis from CRG! Contact us online today or by calling 877-666-5539. As 2018 begins and businesses plan for the months ahead, they will have to take into consideration drastic new changes to U.S. tax law. After months of Congressional debate, President Trump signed the Tax Cuts and Jobs Act into law on December 22, and all provisions went into effect on January 1. This law, which contains over $1.4 trillion in tax cuts for individuals and businesses, represents the most significant overhaul of the tax code in more than 30 years. Despite the several major changes ushered in by the new law, other key provisions that are crucial to business taxpayers remain intact. For example, the Research and Development (R&D) Tax Credit is still a permanent part of the tax code as it was added under the PATH Act of 2015, and cost segregation remains available as a tax-saving strategy for commercial building owners. Furthermore, the Tax Cuts and Jobs Act does not address the §179D deduction for energy-efficient commercial buildings. The §179D deduction expired at the end of 2016, and although several bills have been introduced proposing its renewal, Congress has not taken action to pass any of these bills. At Capital Review Group, we are staying tuned for any news on §179D and will post an update if this valuable incentive is renewed. Lower corporate tax rate. Previously, corporations with over $10 million of annual income were taxed at a rate of 35 percent. 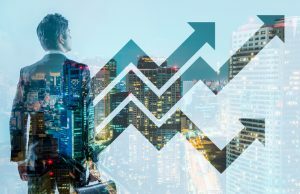 In recognition of the fact that this was far higher than corporate tax rates in many other developed countries, the new law has permanently lowered corporate taxes to a flat rate of 21 percent. Corporate AMT repealed. The law eliminates the alternative minimum tax (AMT) for businesses. Designed to prevent high-income taxpayers from whittling away their tax burdens with credits and deductions, the corporate AMT required businesses to pay taxes at a rate of at least 20 percent—regardless of any incentives for which they qualified. Although the new tax law retains an AMT for individuals, businesses will no longer need to worry about this long-detested barrier to minimizing their tax burdens. Expanded bonus depreciation. Previously, the concept of bonus depreciation allowed business taxpayers to depreciate a certain percentage of the cost of new business property during the year it was placed into service, and then depreciate the remainder over the property’s useful life. This enabled businesses to seize more substantial and immediate tax savings than they would if they depreciated the item’s cost in equal proportions over the course of its useful life. However, from now through 2022, the new tax law will permit businesses to immediately deduct 100 percent of the cost of eligible property during the year it is placed into service. In subsequent years, the maximum amount of bonus depreciation allowed up-front will reduce gradually: 80 percent will be allowed in 2023, 60 percent in 2024, 40 percent in 2025, and 20 percent in 2026. In addition, the new law eliminates the restriction that bonus depreciation is only available for brand-new property. Expanded use of the cash method of accounting. The new law will increase the number of business taxpayers that use the cash method of accounting by authorizing its use for businesses with $25 million or less in average annual gross receipts for the three previous tax years. Deduction for pass-through entities. The law grants pass-through entities—which encompass many small businesses, like S-corporations, partnerships, and sole proprietorships—a tax deduction of up to 20 percent. Although this deduction will be a boon to most smaller businesses, it is not available to those that provide services (such as law firms and medical practices) and earn $315,000 or more per year. Changes to the taxation of foreign profits. In addition to facing a higher-than-average corporate tax rate, American businesses have traditionally dealt with another costly obstacle: U.S. taxation of profits earned abroad. In shifting to a more territorial tax system—or one in which a company is only taxed on income earned within a country’s borders—the new law will exempt American businesses from taxation on most future profits earned in other countries. The law also addresses the issue of stockpiled foreign cash, which many companies have accrued over the years as a way to avoid the high U.S. corporate tax rate. This cash will now be subject to a mandatory, one-time tax of 15.5 percent upon repatriation to the U.S. Increased §179 expensing. Section 179 of the tax code allows businesses to deduct the purchase price—up to a specified amount—of certain types of equipment, furniture, software, vehicles, or other items used for business purposes. Previously, businesses could claim a maximum §179 deduction of $500,000 for up to $2 million of qualifying purchases (with both amounts indexed for inflation). In addition to expanding the definition of §179 property, the new tax law raises the maximum deduction to $1 million for up to $2.5 million of qualifying assets. With these sweeping changes and many more now in place under the Tax Cuts and Jobs Act, businesses must be aware of the new opportunities and potential pitfalls that could impact their bottom lines. At Capital Review Group, our team of tax experts stays updated on the latest changes in tax law. We will provide guidance for your business or your clients’ businesses, ensuring that all available opportunities for tax savings are maximized. Contact CRG today to schedule a pro bono analysis!